When I read that verse, I was comforted in my Spirit. The Lord was saying to Jehoshaphat that he need not fight, the battle was not his, but God’s. Jehoshaphat heeded the word of the Lord and assembled his people, but he did something very pivotal, he placed the singers in front first. Not the warriors, but the singers, the praisers, those who would usher in the presence of God. Jehoshaphat knew that God resides in the praises of his people so he set up a praise. By the time they neared the enemy, their camp was in disarray. The allied army began to fight among themselves. God used the praises of his people to confuse the enemy and they were defeated without even having to fight. In Joshua 6 we see how the Israelites marched around Jericho for seven days upon the counsel of the Lord. On day seven, when they shouted, the wall of the city came tumbling down. Now, it is not the shout of the people that brought down the wall, but, upon hearing the praise, God moved on their behalf. 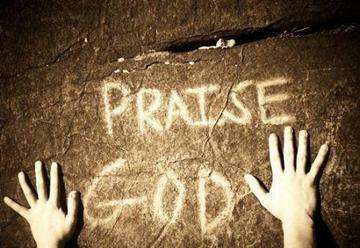 Praise solidifies our relationship with God and shows him that we appreciate his goodness. I encourage you to praise God in advance of your victory and watch the hang of God move on your behalf. Watch him confuse your enemies and watch your situation turn around! Joana James is a young Christian author from the island of Saint Lucia in the Caribbean. She is an I.T. professional by day but in her free time she escapes from the logical world of technology into the artistic world. She is an avid reader and her kindle is her favourite piece of technology. Music is her best friend and that manifests itself through her love for dance and singing.